1 – Paragliding: To be able to fly high in the sky and get a glimpse of the spectacular view from up above is like a fantasy come true. With all the safety gears intact, you need not worry about any mishaps and just enjoy the flight. The best places to Paraglide in Uttarakhand are Mukteshwar, Mussoorie, Ranikhet, Pithoragarh, and Nainital, the best time is from September to May. 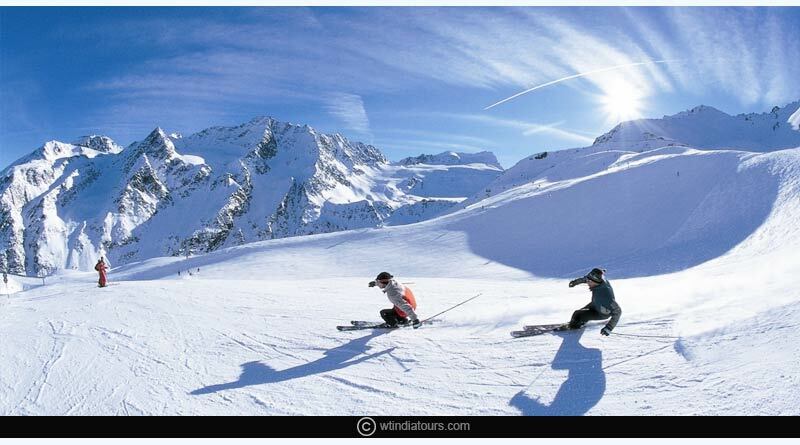 2 – Skiing: Skiing in the snow-capped mountains is exhilarating. It also requires a lot of skill and practice to master skiing. The slopes of Mountains in Uttarakhand are picture perfect for an amazing skiing experience. The best skiing mountain slopes are at Auli, Mundali, Dayara Bugyal and Munsiyari. The best time to ski is in the winter months; however, at a few places, it can even happen around the year. 3-Bungee Jumping: The free fall and the rebound experience in a bungee jump is an unbeatable experience. You must experience it at least once in your lifetime. 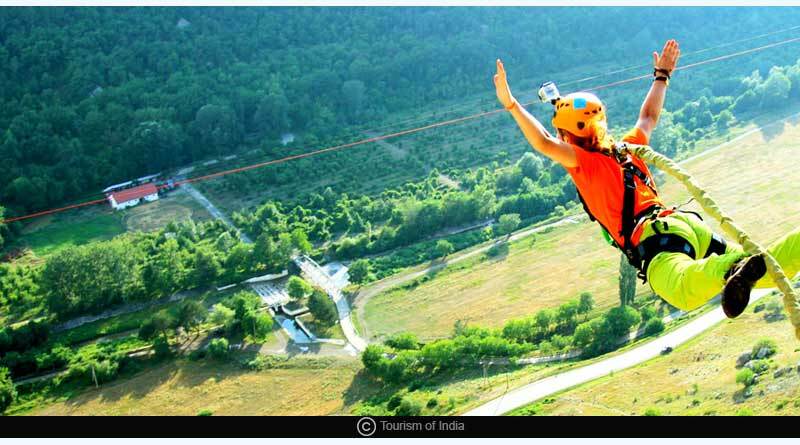 The best places to bungee jump are Rishikesh, Mohan Chatti, Shivpuri, and Soan. It can be best done in the months of September to November and March-May. 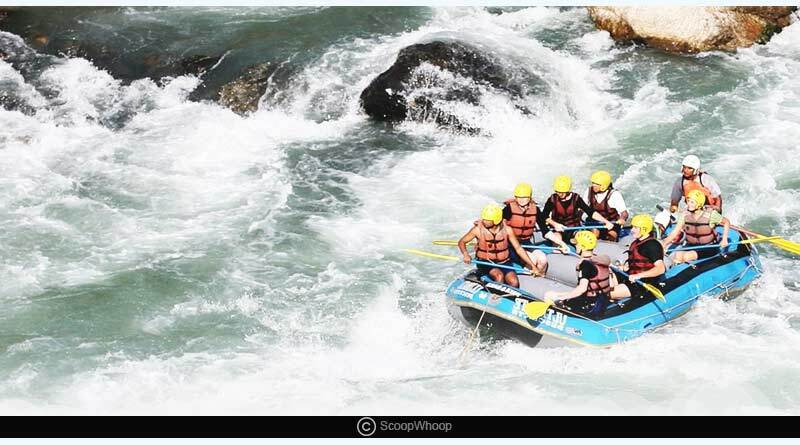 4- River Rafting: River rafting is all about riding the waves. The free flow with the waves and maintaining balance at the same time is a spectacular thing to do. The best Rivers for Rafting in Uttarakhand are the Ganga, the Yamuna, the Alaknanda and the Bhagirathi. The best time to do it is in the months of March to May. 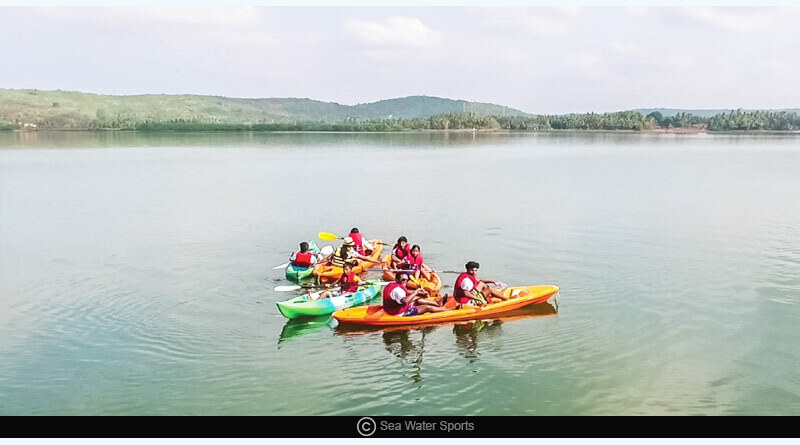 5 – Canoeing and Kayaking: Kayaking is a solo ride whereas canoeing can include one, two or more people. It is one of the best ways to explore the rapids and enjoy your solitude at the same time. It is gaining huge popularity in India now. The best places for Kayaking are Rishikesh and Shivpuri. The best time to go for it is in March and April. 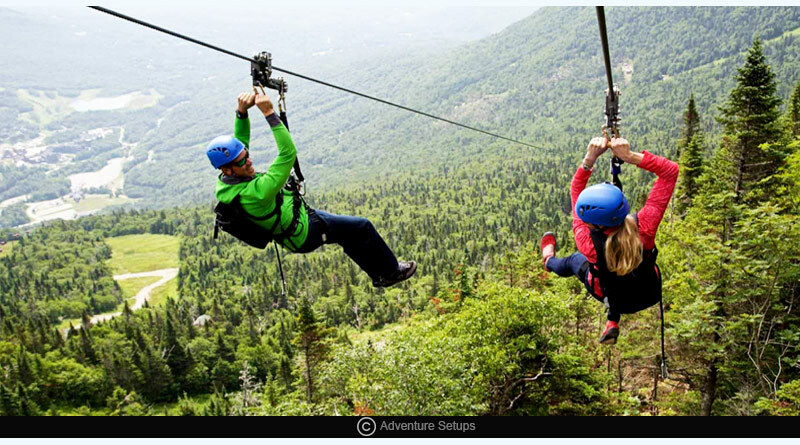 6-Zipline activities: The Zipline activities, like flying fox, is an exotic experience in the mountains. The adventure enthusiasts must go for it when you are in Uttarakhand. The best place to go for this is Rishikesh. 7 – Jungle and Elephant Safaris: The Mountains and Jungles of Uttarakhand provide a beautiful resort to the wildlife. 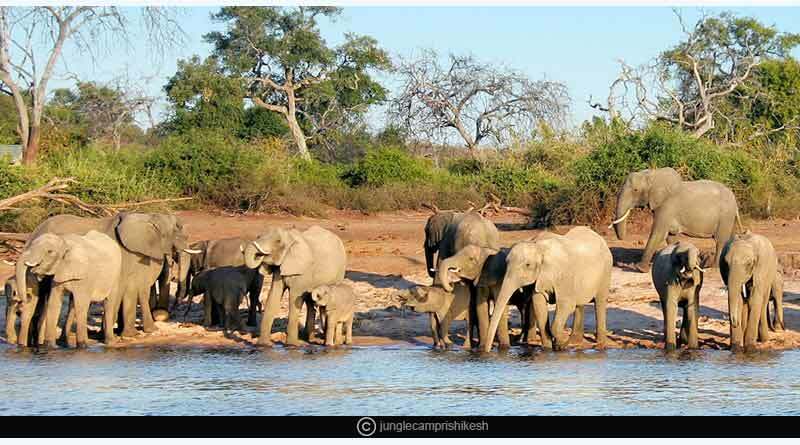 Going for a Jungle safari or an Elephant safari is a stunt in itself and looking at the animals in their natural habitat is a learning experience for many. It can be best done at Corbett National Park. 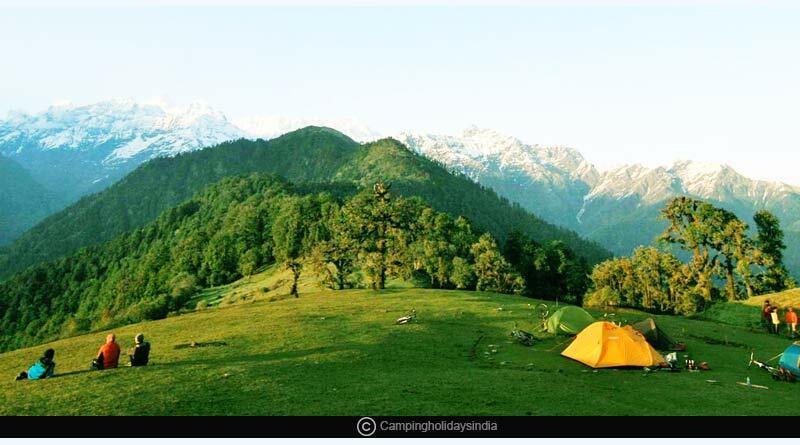 8 – Camping: Being in nature can set right so much for you, nature’s therapeutic effect can be best felt by camping between natural surroundings and you can have one of the best camping sites in the ‘Dev Bhoomi’ itself. The best places to camp are Rishikesh, Dhanaulti, Binsar, Corbett national park, Deoria Tal and many more. These are some of the most popular and most adventurous activities that are available in Uttarakhand, India. 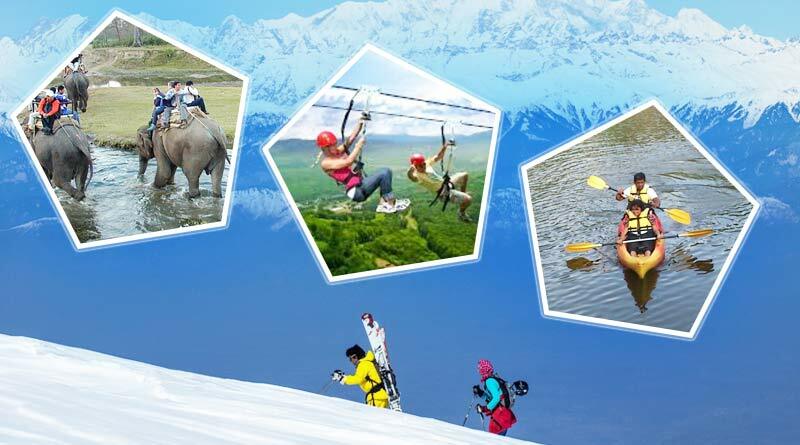 Make the most of these Uttarakhand adventure and cherish the experience forever.